The Vida Libre Bond Fund is a revolving bond fund for asylum seekers, migrants and refugees being held in detention centers. Bail is often set well beyond the means of our clients, most of whom represent the most impoverished and vulnerable populations. Because they can’t pay bail, our clients are forced to wait in detention where essential medical care is inept, emotional, verbal and even sexual abuse occurs regularly, and access to legal counsel is severely limited. It’s a for-profit system designed to break the human spirit. The Vida Libre Bond Fund will pay for our clients’ bail and offers one of the few ways that they can be restored a sense of dignity and autonomy, and fight for just immigration proceedings. We believe freedom is a basic human right and not a privilege only accessible to the wealthy. Once our clients meet all legal obligations in their final immigration hearing, their bond can be refunded, and that money goes back into the Vida Libre Bond Fund to help more people and families! We would love if you could consider a recurring monthly donation, however we are grateful for any amount. Click on the link to donate and please share! Loving shout out to Ashluka for designing this graphic for us! Al Otro Lado is a bi-national, non-profit organization, direct legal services organization serving indigent deportees, migrants, and refugees in Tijuana, Mexico. The bulk of our services are immigration-related. It’s not too early to get involved. You might even say it’s the best time! People are throwing their hats into the ring for the 2020 race and when things heat up, you can be ready! There are always issues coming up – with or without the 2020 race. If you haven’t texted before, try it now. It really is easy. And Resistance Labs does everything they can to make it as easy as possible. Click here to sign up for a shift and find out more. ALL Napa Democrats are invited to take part in the ADEM elections that will be held on Jan 13th. Activists are vying for this delegate to the California Democratic Party position including 4 NCDCC members: Ricky Hurtado, Karen McNair, Esperanza Padilla, and G. Anthony Phillips. AD4 election is 10 AM Jan 13 @ IBEW 180 and 10:30 AM @Veterans Memorial Center in Davis. Our NCDCC candidates are part of a slate, the Rural Progressive Alliance for AD4. All RPA slate candidates would appreciate your vote. Please see their facebook page for more info on the slate candidates. COME VOTE if you live in District 4 (if Bill Dodd is your California State Senator, you live in District 4). Read more at the Event Listing. EJ Bradford was shot in the back trying to help people. Emantic Bradford Jr. did nothing wrong but Hoover police killed him anyway. This is where the Hoover Police’s lies start to unravel: The day after the shooting, the police issued a statement saying “one of the officers encountered a suspect brandishing a pistol and shot him.”4 Then later that same day, the Hoover police issued another statement admitting that there’s evidence that EJ was not the shooter. The next week, police issued another statement saying, “With certainty, Mr. Bradford brandished a gun during the seconds following the gunshots.”5 Eventually, the police backtracked again and stated EJ wasn’t brandishing a gun at all–and autopsy reports confirmed he was shot in the back.6 The failure to hold police accountable is and has been killing us. For years, our communities fought back against the lies and damage police violence has caused, putting immense pressure on law enforcement leaders to better hold police accountable. And just recently, after Color Of Change members stood with the Dallas community and the family of Botham Jean, his killer Amber Guyger was finally charged with murder. When we stand up for justice, we can win–and that’s why we must continue this fight. While the investigation is in the hands of the state, it is still up the Jefferson County District Attorney’s office to file the charges. Right now, we must build up the pressure on newly elected Jefferson County District Attorney Danny Carr to do the right thing and bring charges against the Hoover police officers who murdered EJ. Jefferson County District Attorney Danny Carr must turn his words into action: EJ deserves justice. Jefferson County, Alabama District Attorney Danny Carr has become the first Black person elected to this position after beating 35-year incumbent Mike Anderton. But this new DA has already worked in the Jefferson County DA’s office since 2000, under Mike Anderton’s leadership. DA Carr has said that fairness and transparency are his top priorities — we must hold him accountable to his words. DA Carr still must prove he can do what’s right. Right after the horrendous mass shooting at Sandy Hook Elementary School in 2012, NRA leader Wayne LaPierre said: “The only thing that stops a bad guy with a gun is a good guy with a gun.”9 But that is never the case when Black people step up to protect themselves, their communities and loved ones. We still remember the painful viral footage of Philando Castile’s death, who was outright shot and killed in front of his partner and daughter, during a traffic stop on July 6, 2016, in Minnesota. Philando notified the officer that he had a permit to carry. Philando was not dangerous or violent and yet in an instant, the cop ended his life. While mass shootings across the country in high schools, movie theaters, malls, grocery stores, and religious spaces continue to be perpetrated by white men, Black people are still deemed dangerous simply for being Black. Demand District Attorney Danny Carr prosecute the killer cops. Police officers continue to wreak havoc on the lives of Black people with no end in sight. In just this year alone roughly 876 people have been shot and killed by police.10 Of that, nearly 200 Black people have been killed by police.11 Very few officers are even prosecuted for killing Black people. Now EJ has been added to this horrific list. District Attorneys must step up their leadership in holding police officers accountable and stop letting cops get away with murder. Elected prosecutors remain the most influential role in law enforcement and criminal justice. The outcome of the investigation should be clear — charge these cops. The Bradford family will now have to do the unthinkable in going forward with their lives without EJ. Ensuring the person who killed EJ is held accountable is just one step towards real justice. Sign the petition: Justice for Emantic “EJ” Bradford. There is Still Time to Make a Difference. This is urgent. You have until Monday, December 10th, 2018 to submit comments that can influence whether the proposed changes to public charge, which will have devastating consequences for low-income immigrants, will be thwarted. If the proposed changes go into effect, immigrants could be denied green cards or permanent residency if an immigration officer thinks they might someday use government programs that offer essential healthcare, food security, and housing assistance. The proposed changes also make being a child, being elderly, or being low-income a negative weight on the public charge test. Creating a litmus test that gives preference to those with greater wealth is the antithesis of everything the United States stands for and is against our values. The fact is that immigrants make enormous contributions to our country. Immigrants contribute more to the U.S. economy than they receive and play an important role in sustaining social security and the social safety net. The proposed changes to public charge will hurt not only immigrants but the United States as a whole. The government must review all public comments before the changes can go into effect. Please help us fight back against these devastating proposed changes. Your comment will make a difference. The day after a gunman opened fire at a nightclub in Thousand Oaks, California, on November 8, TOMS founder Blake Mycoskie was in the back seat of a car on the way to his office when his wife, Heather Lang, called. “She was emotional–the shooting was 20 minutes from our house–and she said she wasn’t going to take our [4-year-old] son to school; she didn’t feel safe anymore,” Mycoskie says. “She said she was tired of thoughts and prayers and no action–we had to do something.” He pulled out his laptop in the car and drafted “the most intense email I’ve ever written” to the board of directors at TOMS and to the brand’s CEO, Jim Alling (who took over after Mycoskie stepped down in 2015). In it, he made the case for TOMS taking a stand on ending gun violence–and in the process, overhauling the giving model that made the brand famous in the first place. Having founded a brand that’s become synonymous for corporate giving and social engagement since it launched in 2006, Mycoskie is highly attuned to pressing societal issues and the role that business can play in finding solutions. TOMS has given shoes to over 86 million people to date through its signature buy-one, give-one model (though the efficacy of using this method to address systemic poverty has been questioned over the years). Through the sale of its sunglasses, the company has helped finance eyesight restorations for 600,000 people, and proceeds from coffee, offered at its retail stores since 2014, have delivered clean water to communities where the beans are grown. 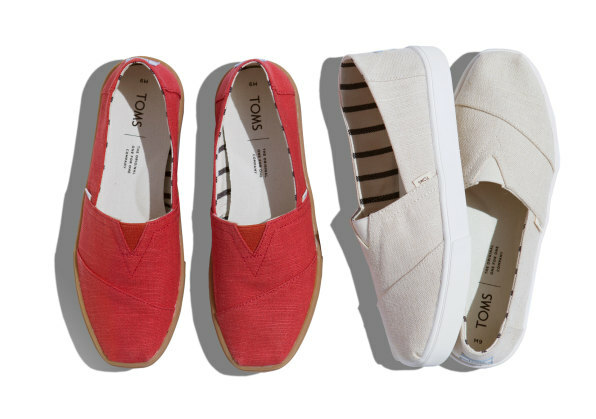 Mycoskie remains confident in TOMS’s ability to make an impact in these areas, and cites the brands’ loyal customer base as evidence that people want to support companies that take a stand on social causes. 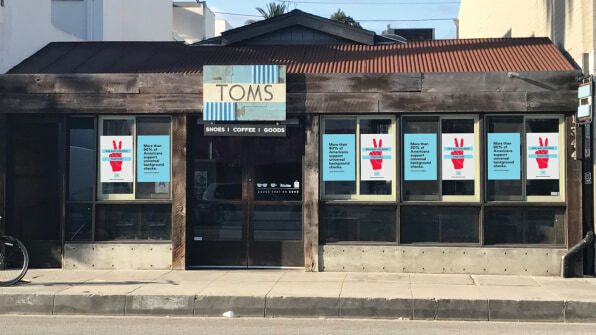 On November 12, Mycoskie announced his idea to Bain Capital, the private equity firm that’s owned a 50% stake in TOMS since 2014: TOMS would donate $5 million to nonprofits working to end gun violence (including Everytown for Gun Safety, Faith in Action, March for Our Lives, and Moms Demand Action), use its platform and social network to call on lawmakers to pass universal background checks, and permanently alter its giving model to prioritize issue-based efforts of this magnitude going forward. He was done avoiding politics. “If we have this much power as business leaders, we have to use it,” he says. It was a lot for Bain executives to absorb. They were not opposed, Mycockie says; one of the firm’s partners is among the top contributors to Everytown for Gun Safety, and TOMS’s board had already been meeting with consultants for two years to discuss how the brand could evolve its approach to addressing social issues. But Mycoskie’s End Gun Violence Together initiative presented significant risks for the company. Gun violence is one of the most polarizing and politicized issues in the U.S. today. Even though studies have found that 90% of Americans support universal background checks, advocacy efforts around ending gun violence tend to get pulled to the extremes. “Any mention of ending gun violence gets spun as, ‘You’re going to take away our guns,’” Mycoskie says. Few brands have taken a leadership position on the issue, and those that have, have faced opposition. When Delta rolled back a pre-existing discount for National Rifle Association members, the Republican-controlled Georgia legislature threatened the airline carrier with cancelling a tax break that was saving them millions on jet fuel. Dicks Sporting Goods, which made a statement explaining why it was tightening its gun sales after the devastating school shooting in Parkland, Florida, lost contracts with firearms companies. Customers in favor of unrestricted access to guns boycotted the companies. Levi Strauss quietly pledged $1 million in corporate donations in support of ending gun violence in September. When Mycoskie called Levi’s CEO, Chip Bergh, for advice this past week, Bergh told him that engaging on the topic is “a lonely position to take.” He also suggested that Mycoskie line up a security detail for himself. Emotions run high in the gun violence debate, and the risks for high-profile people like Mycoskie who take a stand are significant. Some believe that this is why many country music stars—who arguably would have the most sway in the call to end gun violence–have remained silent on the issue. There were more practical risks, too, such as branding and sales: Mycoskie was proposing a complete overhaul of TOMS’s website, advertising campaigns, and in-store displays the week before Black Friday and the busiest time of the year for any consumer brand. “We had this whole thing lined up with fluffy slippers for the holidays,” Mycoskie says. He proposed swapping that out for “End Gun Violence Together” imagery, with a link on the website that visitors could click to send a postcard to their elected officials, calling for universal background checks. “We timed it, and it takes 22 seconds,” Mycoskie says. He hoped that “maybe after that, [they’d] decide they like what we’re doing and take a look at the shoes.” It’s not exactly a product-first approach. While managing his family’s evacuation of their Topanga, California, home due to wildfires, Mycoskie spent the next few days on the phone with his partners at Bain and with his team at TOMS, who pitched in overtime, and last Tuesday, he got the sign-off he needed. Today, just 12 days after Mycoskie received that phone call from his wife, the TOMS website has been redesigned to promote the End Gun Violence Together initiative. All of TOMS’s in-store displays–from Austin, Texas, to the Mall of America in Minnesota–will amplify the brand’s new direction. The company is bolstering security at retail outposts in more pro-gun regions, and anticipating that some customers will drop the brand entirely. But he’s also hoping the initiative starts a conversation. “We want to educate people that ending gun violence doesn’t mean taking away guns–it starts with passing universal background checks, which would keep domestic abusers, terrorists, and felons from buying weapons,” he says. “Right now, you can be on the terrorist watch list and walk into a store and buy an AR-15. I don’t think anyone thinks that’s a good thing.” He wants the phrase “universal background checks” to lodge in people’s mind as a common-sense goal to keep citizens safe. Meanwhile, the file-sending company WeTransfer has dedicated $1 million in advertising space on its platform to the campaign, which WeTransfer estimates will reach 40 million people during the holidays. TOMS knows that it’s likely to lose consumers who would rather see the brand steer clear of politics. But Winter Minisee, a 17-year-old from Riverside, California, who helped organize the National Youth Walkout, thinks that the initiative might win the company a new audience. “People are always trying to figure out how to market to young people, but we’re waiting for brands that reflect our needs,” Minisee says. Over 1 million people participated in March for Our Lives, the protest against gun violence that was led primarily by students from Parkland, and 1 million young people walked out of their classrooms during the National School Walkout soon after. In the midterm elections, she says, young people who could vote “turned out in numbers never seen before.” These are the people truly leading the charge on ending gun violence, and Minisee and her fellow youth leaders are energized by companies like TOMS using their political and financial heft to support them. As for Mycoskie, after a whirlwind seven days of developing and implementing an initiative and a new direction for the company, he’s building out a list of other CEOs and brand leaders he might contact to form a coalition around the issue. But that might be a task for another week. “I’m not going to be calling people up on Thanksgiving Day,” he says. Mississippi voters will be going to the polls again this month. No candidate received more than 50% of the vote in their Special Election for the unexpired term of the U.S. Senate seat which was vacated earlier this year. Another election. Right around the holidays. When it is reasonable to expect voters are fatigued with campaigns. Runoff election turnout is always abysmal. I can only imagine how low the numbers will be this time. But, it’s not for a local office. It’s for the U.S. Senate. Low expectations and a distracted/overconfident opposition are key ingredients for an upset Democratic victory. The extra ingredient: your postcards to voters. Yes, you will hear people say all the time that Mississippi cannot be won by Democrats. But, look at how close statewide elections have been in Georgia and Florida. Look at the many elections won by Democrats in unlikely places with razor-thin margins. If you have time, postcards, and postage to write to at least 5 voters this week, we need you. Every Wednesday, there is a ‘training’ to help you learn how to text, how to canvass, how to phone bank – how to HELP! There is still a lot you can do. Come find out what you can do to help flip red to blue. Drop by and if you can, please let us know you’re coming. Email to napavalleydems1@gmail.com with your name and contact info. Bring your SmartPhone, tablet, or laptop, plus charger — you may learn to textbank or do some phonebanking, write a postcard, or who knows?! Don’t sit by and fret. Roll up your sleeves and jump in. Error: Error validating access token: Session has expired on Tuesday, 12-Mar-19 16:48:09 PDT. The current time is Friday, 26-Apr-19 02:50:56 PDT.